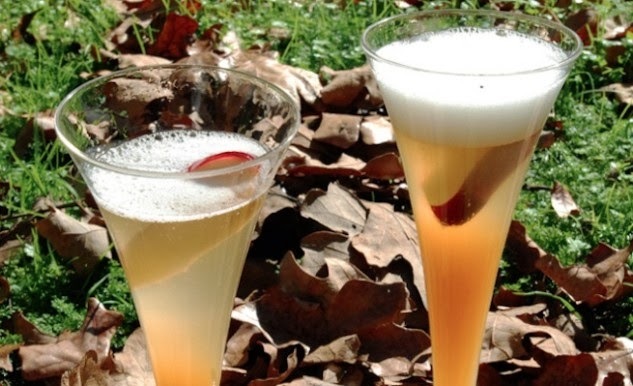 Directions: Mix together equal parts of apple cider and champagne. Decorate with a colored sugar rim or slice of apple if desired. For Tailgating: Serve in these hard plastic champagne flutes.